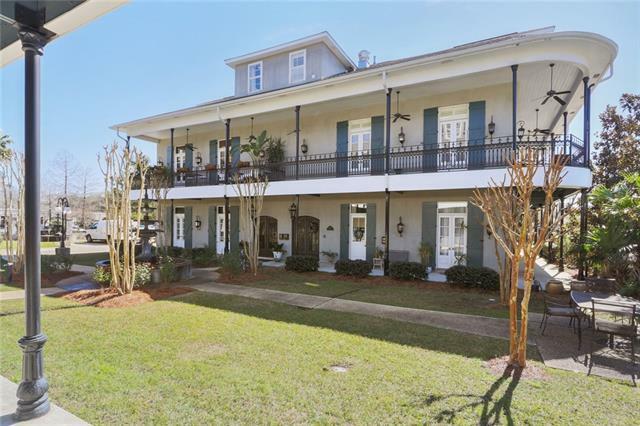 Stunning French Quarter Style Condo in the Heart of Old Covington. This rare condo has magnificent custom framing w/antique doors from a castle! 3BR/3BA plus office. Spectacular lighting fixtures throughout, wd flrs, granite, an exceptional master suite w/fireplace & custom closet, french doors opening up to a balcony, hydro tubs, commercial refrigerator & range/oven, high ceilings, an elevator to all 3 floors. Attached garage w direct access into home. Garage has small rm that is plumbed for a 1/2 bath.